Winning the New York City affordable housing lottery can seem as difficult as winning the actual lottery. Contrary to what your may think, however, regular people do win. I know this from experience, because I won the lottery myself. You don’t need to have dependents, or be living on very little income, to qualify. In fact, New Yorkers with middle incomes, even some making six figures, can qualify for subsidized housing. Best of all, NYC housing lottery apartments are usually located in new buildings with features like mail rooms, doormen, and laundry. 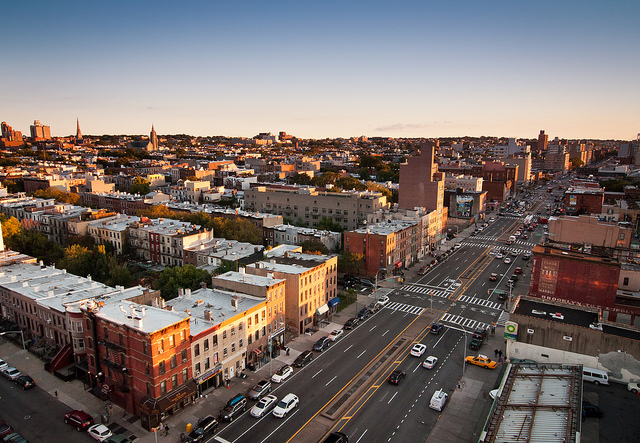 The Department of Housing Preservation (HPD) works with the city and local real estate developers to create more housing for low- and middle-income New Yorkers. According to HPD, housing is affordable if it costs no more than 30 percent of one’s monthly income. To insure that there’s enough housing across a broad range of incomes, New York City uses a metric called area median income (AMI), which is set annually and changes with household size. For example, the 2018 AMI for a family of three is $93,900. For a single-income household, the AMI is $73,100. 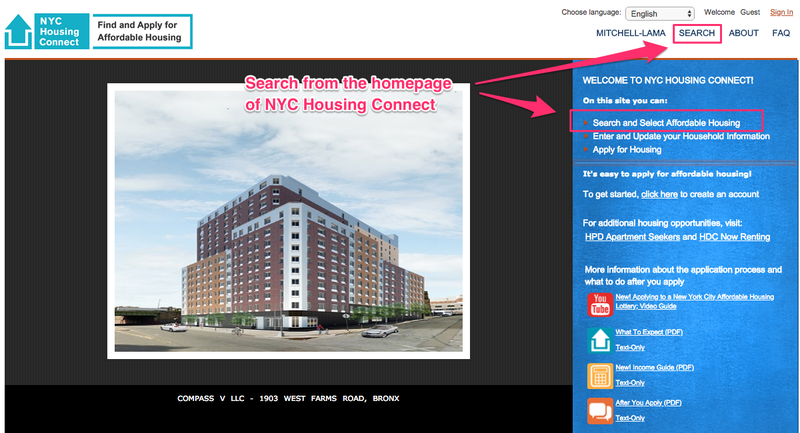 First, register and create an account on NYC Housing Connect. This takes about 10 minutes, and requires you to enter basic personal and financial information, including your name, address, the number of people in your household, and your annual income. Use your most recent tax return for reference. Only create one account per household. Sign up to receive emails. You can sign up to get updates whenever a new lottery opens that fit your search criteria . Cast a wide net. You can apply to multiple lotteries, so go for as many as you can to increase your chances of winning. While you may apply to many different lotteries, duplicate applications for the same development will not help your case. Duplicate applications are weeded out and may even get you disqualified. Check your snail mail. If your application makes it through the initial lottery draw, you will receive a letter in the mail requesting that you come in for an interview and submit financial documents. You can increase your chance of winning by applying to lotteries in your area. Many of lotteries give preference to applicants currently living in the same community board as the new development. Municipal employees also get preference when applying to these lotteries. About 5 percent of apartments in each project are set aside for them. Check this list to see if you qualify. If you are contacted, get your financial and identification documents in order. Half the battle of winning a lottery is having the required documents current and ready to go. You don’t want to get turned away or disqualified over not having proper documentation. I Haven’t Heard Back. How Do I Contact HPD? You can attempt to call HPD, but it probably won’t do any good. Like many government agencies, it can be very difficult to get past the automated voice messaging. If you haven’t heard back from HPD about the status of your application, it probably means your application has not been selected. If your application makes it to the next round, the organization running the lottery will contact you. Rent increases are not based on an increase in income. Apartments are often rent stabilized, so while your rent may increase, it can only do so within the terms designated by the New York City Rent Guidelines Board. It can take anywhere between two months and ten months from your initial interview until you are approved for an apartment. Be patient, as the lottery process is not for those in a hurry. How Much Rent Can I Afford in NYC? How Much is the Cost of Living in NYC?